Why these holidays are getting me confused. My calendar shows that this year Lincoln’s Birthday and Mardi Gras fall on the same day. The juxtaposition has me wondering more than ever about holidays, what they mean anymore and why they keep changing. This getting old has its disadvantages, one of which is that I am in a perpetual state of confusion. I might get even more confused if I keep trying to make sense of all this instead of just observing and reflecting on this occurrence. Do Lincoln’s birthday and Mardi Gras have any connection? Why are they together and the president’s birthday a full seven days later? One connection clearly is the occurrence of hallucinations. In that way, the two days have something in common. They both also remind us that the modern idea of hallucinations and delusions and the ancient belief in spirits and demons are not all that far apart. There has been some debate over the years about the state of President Lincoln’s mental health. Clearly, he presided over our country at a very perilous and traumatic time. No war in our history from the colonial days till now has resulted in such universal military service and such horrific loss of life as that war which was fought to keep the union of states together despite unresolvable, for the times, differences. 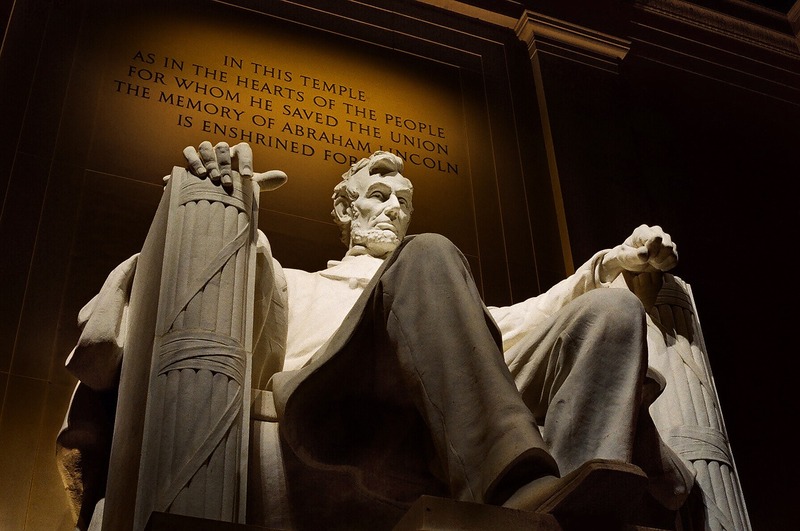 Lincoln has been described as Melancholy, an old name for what we now call Major Depressive Disorder. Some accounts report he would stay up late at night and believed he saw spirits. Having to make the sort of decisions he did that resulted in such massive suffering, no doubt could drive most any man insane. So a reasonable case could be made that this President whose policy’s made such profound changes in so many aspects of American life, could easily have suffered from Depression with psychotic features, or Bipolar disorder, some have even suggested a more pronounced psychosis. Still, with or without a mental illness, this president was in touch with massive sadness and the mental images of the spirits of those who died in that war. Personally, from this distance of 150 years, I can tell you that the number of family members on my tree who fought in that great war is too many to count. I also know, though in a more fragmentary manner that many of those ancestors and their offspring developed an addiction to drugs, alcoholism, and a wide variety of serious mental illnesses in the years following that war. I am not sure we can blame all the insanity in the family tree on that one war, like all families we had black sheep and bizarre behavior before and after that war. But the connections are too specific and close in time for me to not take notice that the effects a horrific war play on the psyche of individuals, families, and countries for a long time after a war officially ends. As for Mardi Gras, the costumes involved look to me like a tangible representation of a Jungian dream analysis on Hallucinogenic drugs. My understanding of Mardi Gras is of course imperfect. The most vivid description of this day I recall must have come from a person who had consumed several bottles of high-proof liquor. It is hard sometimes to tell the descriptive part from the current hallucinations. I am told that his Mardi Gras falls on “Fat Tuesday.” This is the last Tuesday before Lent. Those of the Catholic Influence seem particularly inclined towards lent. I am told that the objective is to get as much sinning done on Fat Tuesday as possible so that you have the pleasure to carry you through the deprivations of Lent. This did not sound right to me but my highly intoxicated source swears that this is true. He also swears that extra-terrestrial aliens have taken over the bodies of our Congress and are passing pro-alien laws. I found the part about congressmen being possessed by extraterrestrials easier to believe than his account of Mardi Gras, so much for drunken sources. grotesque, quizzical, diabolic, horrible, strange masks, and disguises. Human bodies are seen with heads of beasts and birds, beasts and birds with human heads; demi-beasts, demi-fishes, snakes’ heads and bodies with arms of apes; man-bats from the moon; mermaids; satyrs, beggars, monks, and robbers parade and march on foot, on horseback, in wagons, carts, coaches, cars, &c., in rich confusion, up and down the streets, wildly shouting, singing, laughing, drumming, fiddling, fifeing, and all throwing flour broadcast as they wend their reckless way. Somehow this time of year seems perfect for the strange, bizarre and the supernatural. Only a short time ago we were watching a groundhog for our weather predictions. Now we are all hoping to get in one last round of sinning before we try giving up our old ways for another brief hiatus. This only days after discarding our New Year’s resolutions. As to the connection between Mardi Gras and Lincoln? I am inclined to think that Lincoln would have preferred to see this menagerie traipsing through the white house over the specter of the war dead and wounded he had to view in his melancholy nights. This entry was posted in Commentary, Mental Health and tagged co-occurring disorders, Emotions and feelings, happy life, Mardi Gras, recovery and resilience by David Joel Miller. Bookmark the permalink.